The newest installment Fight Night is here and it’s a real…knockout…ha-ha I made a bad pun. There is a very strong focus on the Story Mode, which is very well realized in the long haul. Of course there is a Legacy Mode, where you can create a fighter and train him to be the World Champion, much like the other Fight Night titles. Fighting has been changed up yet again with less complicated stick rotations making your fights much more forgiving, but not easier by any means. EA has also nullified players being able to spam punches for a quick knockout, which makes the multiplayer much more enjoyable. 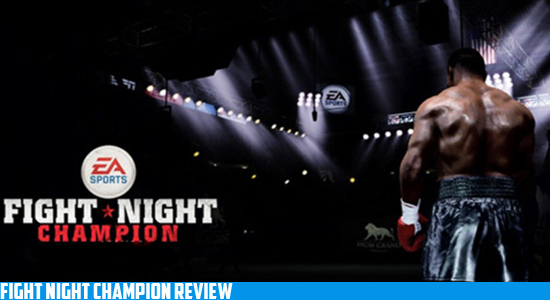 Though no game is ever perfect, Fight Night Champion is a nice step in the right direction. Regardless of how amazing a title is there is always room for improvement and Fight Night is no exception. There have been multiple occasions where the referee will block the camera in the middle of a fight rendering you blind for a period of time. Like the other titles, the multiple minigames are just an aggravation rather than fun. Unfortunately the recovery minigame during fights no longer exists and I quote “to make the game fair”. While this may seem like a dumbed down version of Fight Night, there is still a challenge in every fight especially when boxing characters with very heavy hooks. The multiplayer has been simplified and is relatively similar to UFC Undisputed, such as making camps. However there was tons of lag issues along with a very high disconnection rate from the server. 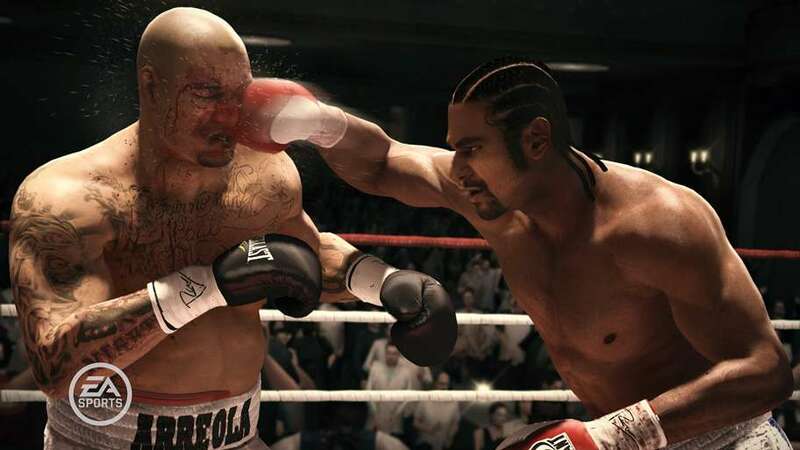 Fight Night Champion is the best in the series so far, and the added story is much needed welcome. The downside is that it makes Legacy Mode seem like a hollow number punching experience. While the multiplayer offers a fun experience it is only as enjoyable as the amount of people playing it to put it simply NO PLAYERS = NO PLAYING. Luckily Fight Night does plenty of things right, and also there is no other boxing simulations in existence that really lives up to it. 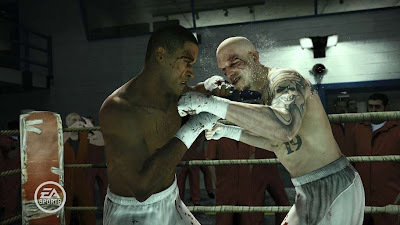 There is plenty of blood violence and the graphics are stunning, if you love boxing then you’ll love Fight Night Champion.